How are you nowadays? Hope your day always good and full of barokah, aamiin.. 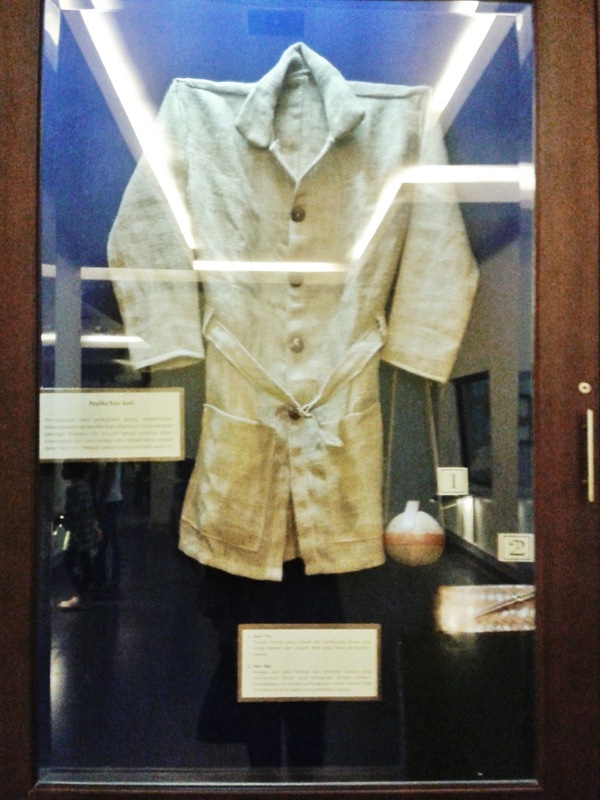 In this post, I wanna share about my very very brief trip around Malioboro (one of tourism area in Yogyakarta). I did this trip alone on last Saturday. Yup, alone. Hehehe... I often do a spontaneous brief trip when I'm getting bored & need to fresh up my mind. 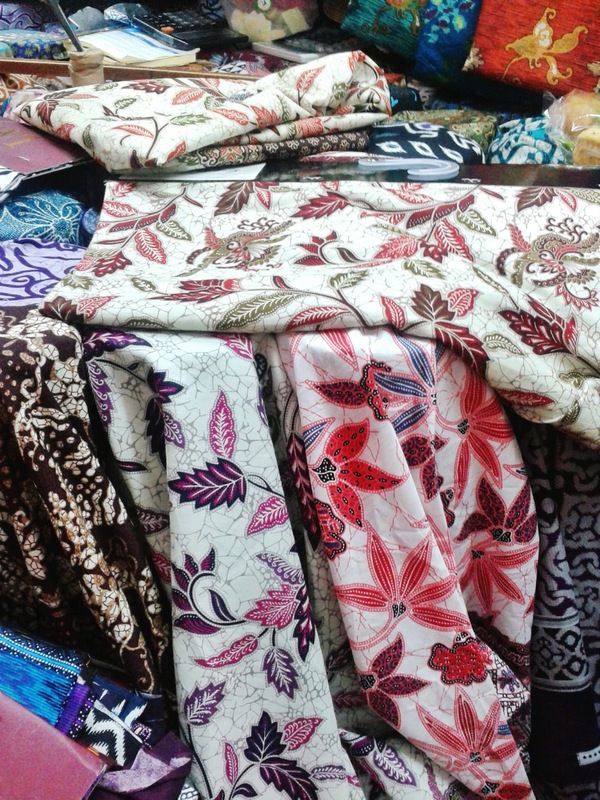 And one of my favorite place to go is Malioboro, even I do it just for strolling around. 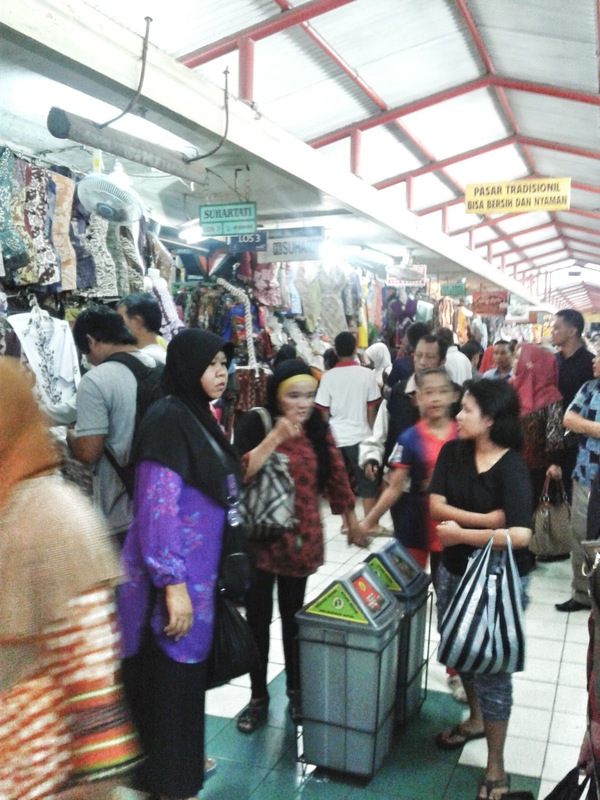 Pasar Beringharjo is a traditional market located on Jl. Jend. A. Yani (this area also called as Malioboro), Yogyakarta. 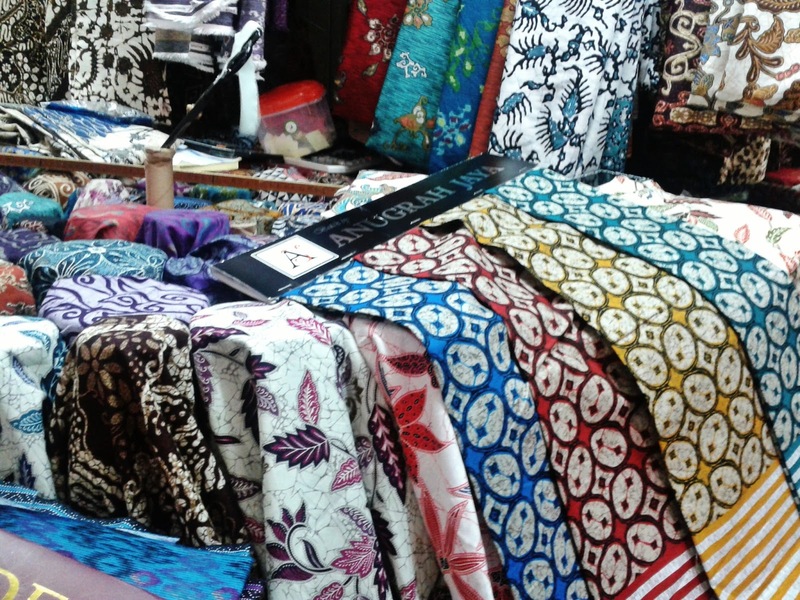 In this market, you can find many merchandise from Yogyakarta, especially for Batik products like clothes or fabrics. it's a little bit crowded inside here, because it was holiday season..
Purpose: eat "Sego Pecel" and watch "Nembang Jawa"
"Sego Pecel" in Javanese means rice dish served with pecel (cooked vegetables with peanut sauce). 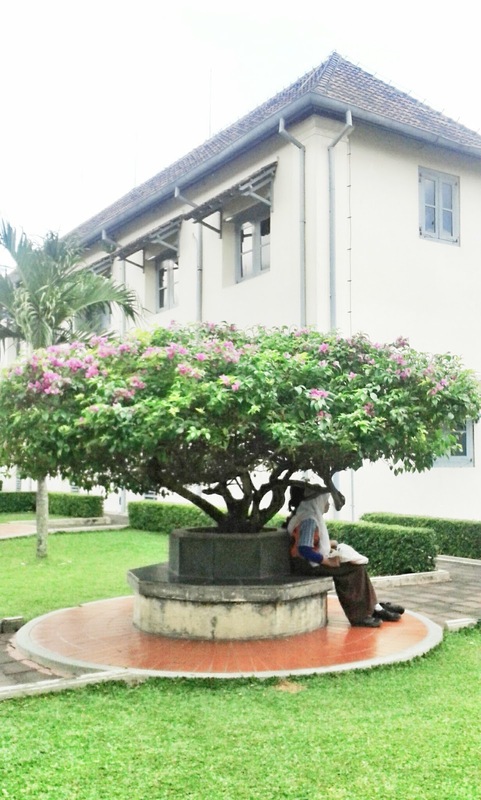 The cooked vegetables are usually water spinach, spinach, long beans, cassava leaves, and also papaya leaves. 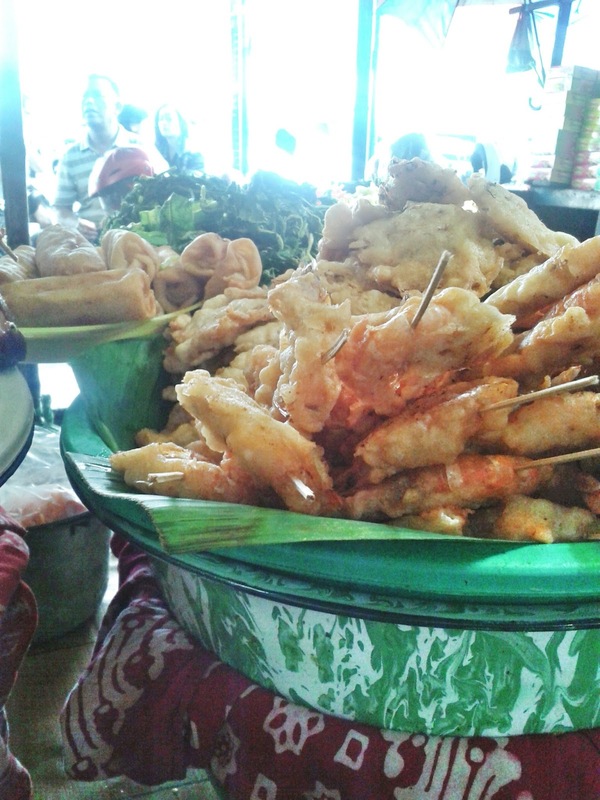 You can found some sellers of this food in front of Pasar Beringharjo. 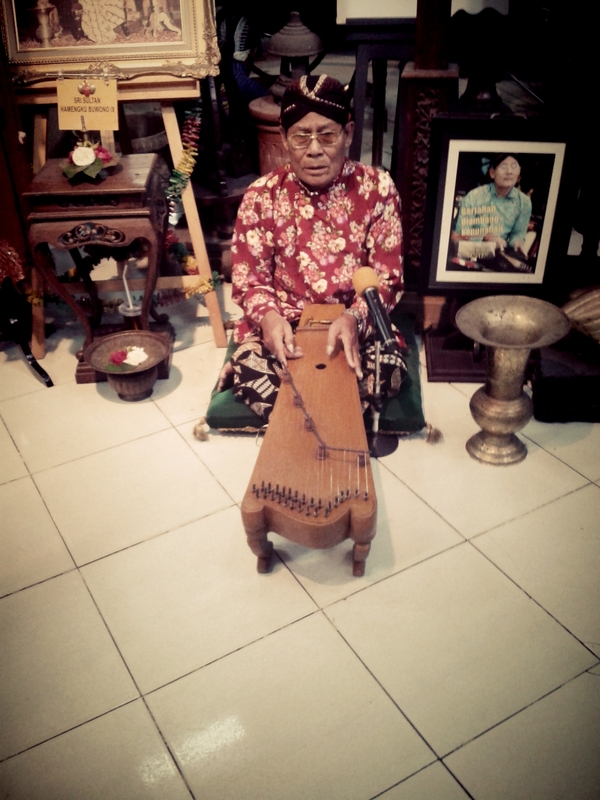 "Nembang" in Javanese means singing. 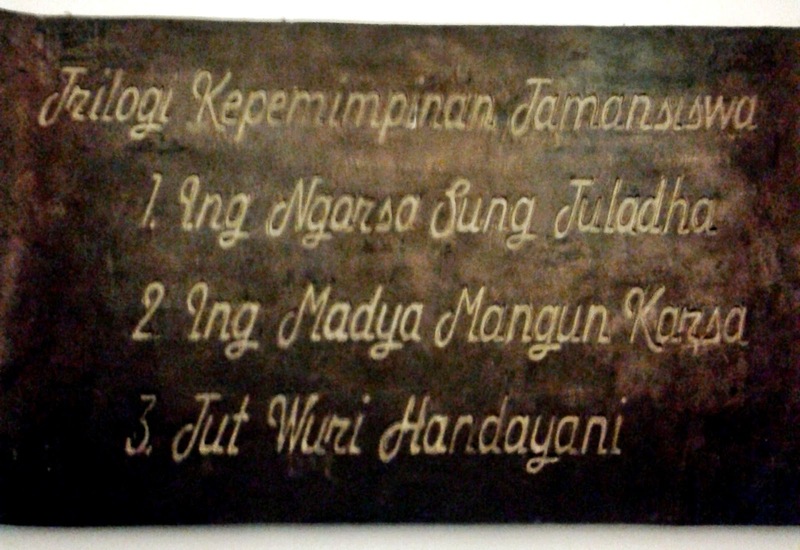 "Nembang Jawa" is Javanese vocal art, which sing in Javanese language. 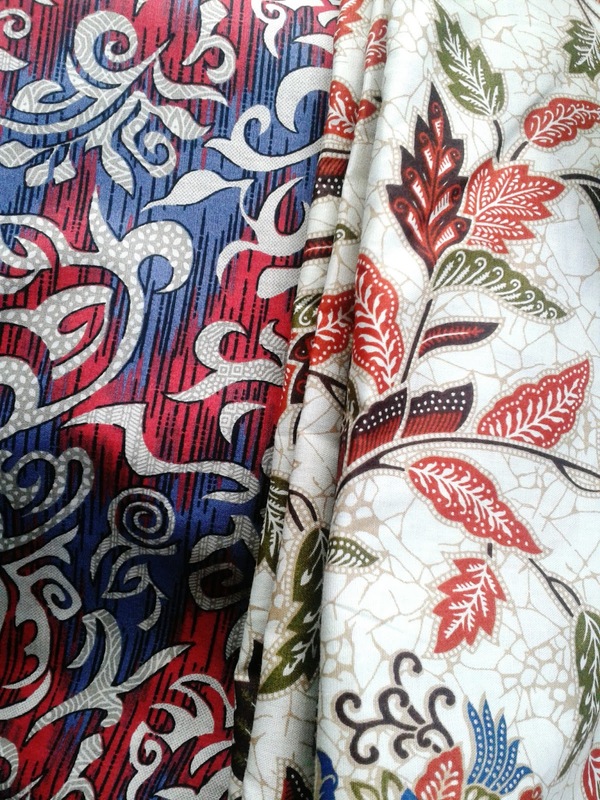 I found a man did this when I went to Mirota Batik in Malioboro. That man was singing by playing "siter". 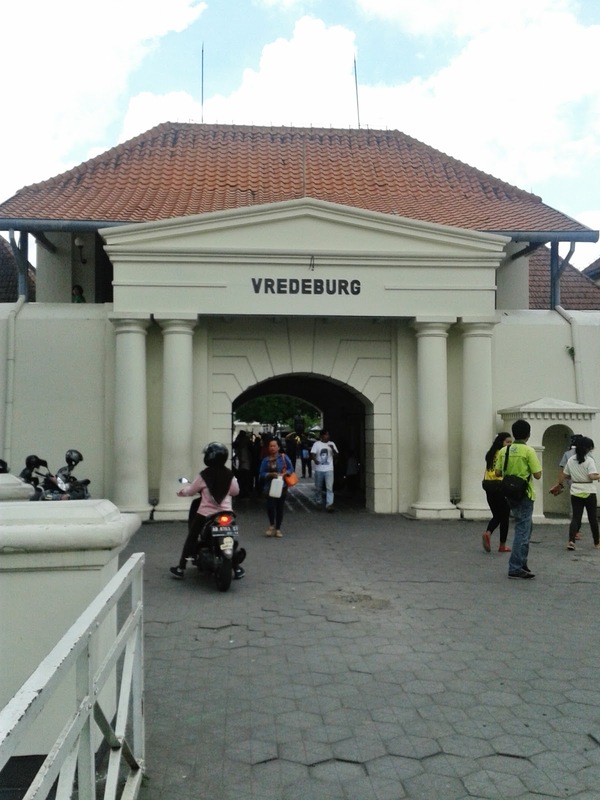 So beautiful, so cultured..
Museum Benteng Vredeburg (Vredeburg Fortress Museum) is one of museum in Yogyakarta. 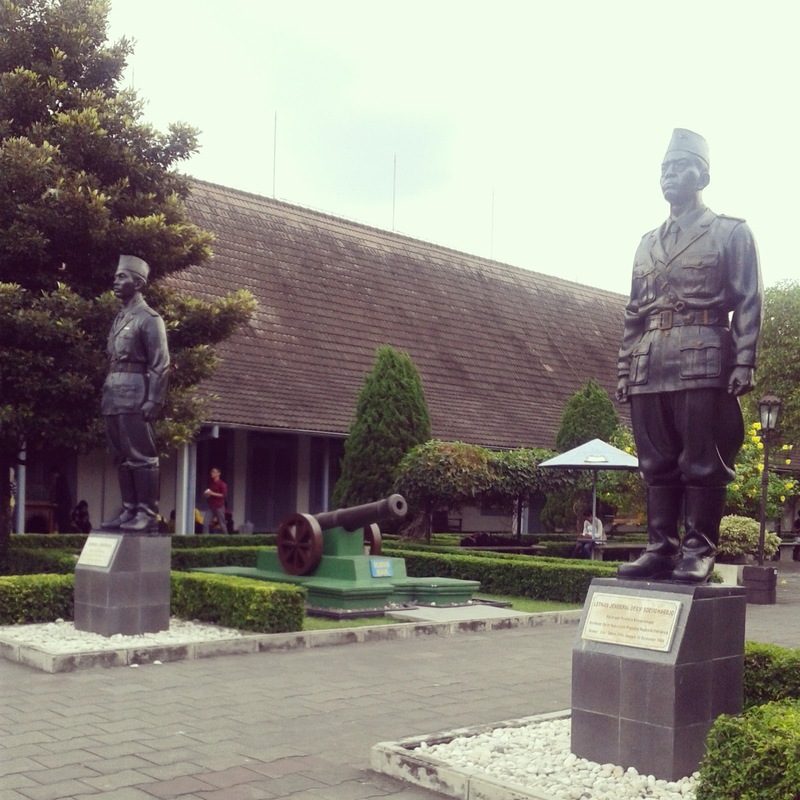 Located on Malioboro area, in front of Gedung Agung (one of Indonesian presidential palaces). Beside the fortress, in this museum also have some dioramas. 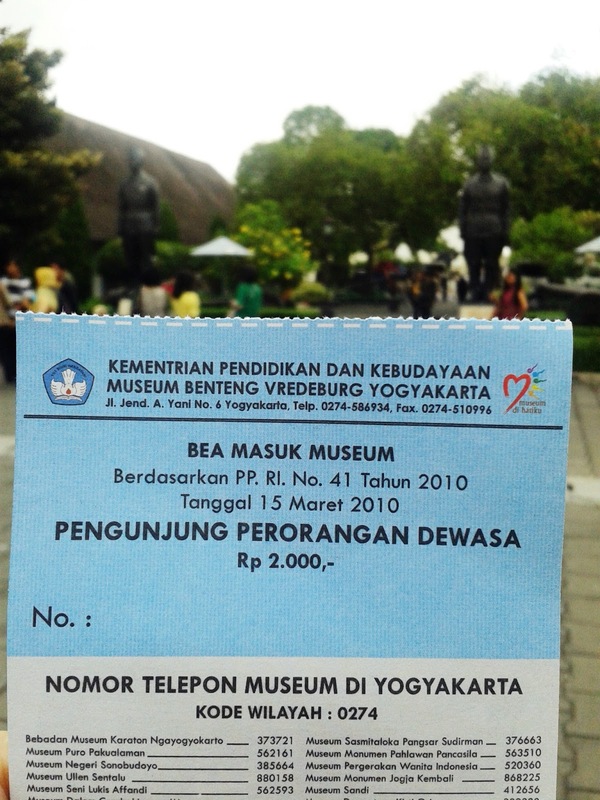 The dioramas show all incidents that took place in Yogyakarta & the surrounding region during the period 1830-1949.
the museum entrance | the admission price is only 2000 rupiahs (it's cheap for a museum ticket). The last destination of the day was shoe stalls! I went there because I need to buy shoes for my clerkship. There are some shoe stalls in this place, which display a lot of shoes & sandals both for men & women. The price in here is affordable, especially for students like me, hehe..